A.C.E. Is excited to be expanding our gaming this year. 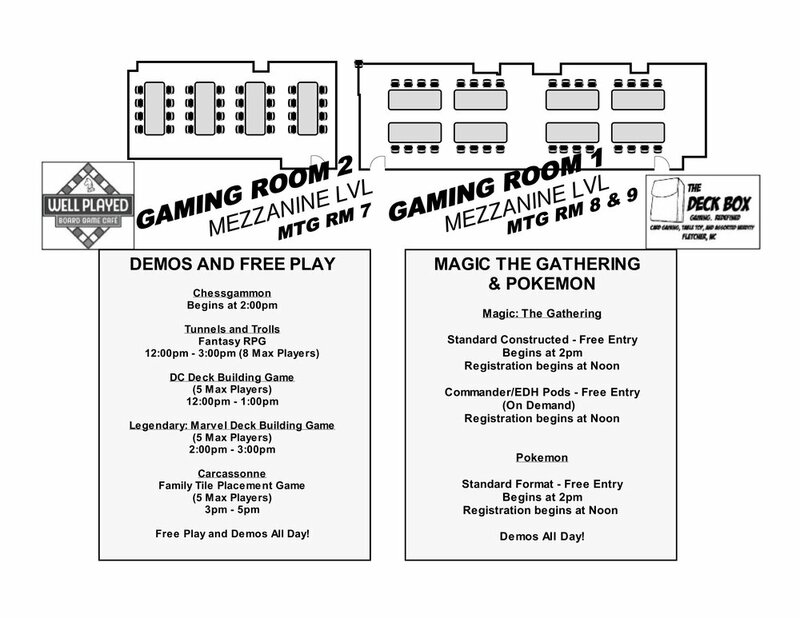 We will have two private rooms, one room strictly for Magic the Gathering, and one for gaming demos and free play. We will also have free play video games on the main floor. Stay tuned for more details. Do you like Magic: the Gathering and/or Pokemon? Do you plan on attending the triumphant return of the Asheville Comic Expo? Well do we have a series of events for you! That's right, folks: Fletcher's Favorite Sons (or like...third favorites...once removed) at The Deck Box have partnered with the fine folks at A.C.E. to bring you a day full of all sorts of fun Magic and Pokemon Events. And the best part is: they're all completely Free with your paid admission to A.C.E.!! Learn to Play Pokemon and Magic! Really want to learn how to play, but were too scared (or busy!) to ask? Well now's your chance! We'll have Staff on hand to teach players to play both the Magic: the Gathering and the Pokemon Card Games from 11am-3pm! Demos by our friends at SmokinGames! 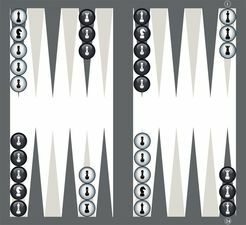 Chessgammon: Chess-like strategy meets Backgammon-like chance in this Backgammon variant which incorporates Chess pieces having special movements & abilities, bringing a new dimension of strategy to the traditional game. Check out Chessgammon at the board gaming area, grab a FREE copy of the rules, and game a while with us! Demos by our friends at Well Played! To start the game, each player chooses one of the seven over-sized hero cards, each of which has a special power, and starts with a deck of ten cards. Each turn, a player starts with a hand of five cards and can acquire or conquer the five types of cards in the game: heroes, villains and super-villains, equipment, super powers, and locations. To defeat villains, you'll need to have power – but when a super-villain is defeated, a new one comes into play, attacking all the heroes while doing so. Make sure you've acquired defenses – like superspeed or bulletproof powers, or The Batsuit equipment – to protect yourself from harm. Craft your hero deck into a well-oiled machine to take on the most vile villains in the DC Universe in your quest for victory (points)! More info on the game! Join Thessaly Chance for some old school D & D fun! This legendary tabletop role-playing game was in fact the second RPG ever published. Create your adventurer, arm yourself with sword and shield, wits and luck, or maybe a wizard’s staff, and set out into the lands of Trollworld. Survive long enough, and you too may find yourself having become truly a hero! We are excited to welcome the Asheville Retrocade to ACE! They will be bringing a few choice free play gaming cabinets. Welcome to Asheville's Favorite Place to Play! Over 5000 Video Games, Pinball, Billards, Skeeball, Foosball, and the best in Retro Music all day till 2am for Only $10! That's right, from Open till Close Unlimited Play for only $10! We Offer the Best Selection in Local Craft Beers, Wine, and Coke Products. Chill out on our Outside Deck and Patio Area. Over 200 pieces of Beer Memorabilia Dating Back to the 1930's. So Come, Take a trip back in Time With Us, At the Retrocade!